Are you ready? Maybe you are, maybe you are not…but whether we favor the former or the later, we are all about to experience something this coming January that hasn’t been experienced in…well, a long time. On January 1st, 2014, all individuals will be taking the Fundamentals of Engineering exam as a Computer Based Test (CBT) rather than the ultra-refined, super taxing paper exam that everyone before you was blessed to sit and go through. The following article is designed to shine a little light on this complex topic to help you ensure you are prepared for the transition from the gold standard Fundamentals of Engineering (FE) paper exam to the shiny new Computer-based Test (CBT). The National Council of Examiners for Engineering and Surveying (NCEES) is dedicated to advancing professional licensure for engineers and surveyors here in the beautiful US of A. The NCEES does not only administer and score all examinations and certify the professional ability of its members, but it also takes great pride in catering to and developing examination content that is fair to aspiring engineers, uniform in its criteria, and up to date with true practices and techniques. I’m so glad that I cranked out 5 years of college…only to have to sign up and sit for another exam, and get my PE! Actually, you did crank out 5 years of college, and that’s solid for sure, but the kicker is this…students and/or professionals who intend to pursue their PE license are required to take two exams: the Fundamentals of Engineering (FE) and the Principles and Practice of Engineering or the PE. This may or may not be a buzzkill, but if its any consolation, we all have to do it…it’s what makes certain that we as a country remain as the elite of the elite when it comes to innovation. Through 2012, more than 50,000 students registered for the exams held bi-annually each year. Of the two exams needed to obtain your professional engineering licensure, the FE is structured to test the knowledge base and depth of concepts retained over that golden 5-year bachelors’ degree journey. No professional experience, or work experience for that matter, is necessary to sit for this exam, and in fact, most States allow you to sit for the exam as early as your Junior year of college. The PE exam, which is the second step in the professional engineering licensure process, is structured to test the knowledge and expertise of professionals who have experience in their disciplined area of work. The Fundamental of Engineering examination had its last hurrah as the all so familiar traditional pencil and paper exam this past October 2013 and rounds the corner to transitioning to the CBT format on January 1st, 2014. If you are going to miss the ol Paper and Pencil, don’t fret, the PE exam will continue to be tested using this traditional method until a strategy for transitioning to the CBT is finalized. Side note: For some reason, I was thinking about that soap opera, “As the World Turns” when I wrote that subtitle…isn’t there one that’s called that? And why I was thinking that, I have no idea. Back in August 2010, the NCEES State Licensing Board voted on the transition of these exams from paper and pencil to CBT. Since then, the NCEES in collaboration with other bodies has overseen the process of this transition. This transition not only required a change in policy, but it also required a change in content through elaborate surveys and reviews, as well as deep coordination with Pearson VUE in an effort to make this transition physically possible. Pearson VUE is the largest commercial testing company and education publisher in the world and is currently administering tests such as the GMAT and ABS, amongst others. Greater flexibility in scheduling for all candidates: As it was prior to the transition, the FE exam was only given twice a year. With the new CBT, an examinee will essentially have the ability to register and sit for exams year round. The locations of the exams will also be more widespread, no more driving hours just to make an exam, with Pearson VUE, they are likely to be much more convenient. The duration of the test will be will decrease from 8-hours to 6-hours, with results available to test centers within 48 hours. That’s right, 48 hours…if you have ever taken the exam before, this score turnaround could have been up to 13 weeks of biting your nails wondering if you would need to be studying for the next exam date. Having a CBT will allow for a far superior ability to maintain security over the exam content. Will ensure that uniform testing conditions are provided to all candidates. (I have stories from both my FE and PE Exams that made them much much more challenging then they already were…uniformity is good). 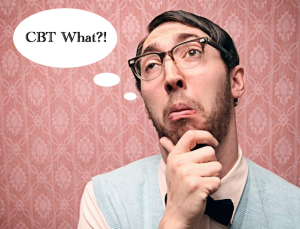 So what’s this whole CBT thingy? ASME, ASCE, NEC, MBA…we live in a world of acronyms…let me tell you. If you haven’t already figured it out, CBT is the acronym for Computer-Based Testing…which means exactly what you think it means, an exam conducted solely on the computer. There are a number of benefits that will come, on both sides of the spectrum (examinees and NCEES), from this transition to CBT. One benefit to the student will be a significant increase in the opportunities to sit for the exam. You might be asking why…well now that the exam will be administered through Pearson VUE, aspiring engineers will have the flexibility to visit a number of their testing locations around the country to take the exam. This is HUGE, with capital letters…and I am sure if you were one that was affected by how it was in the past, you know exactly why it is so huge. You see, for example, living in Northern California, our testing center had always been Sacramento. If you lived in Redding or the Bay Area, on top of an already stressful day of test taking, you would get a nice little parting gift of adding a commute in to the mix…this definitely wasn’t ideal. Having more locations to take the exam is beneficial for the NCEES as well. Due to the increased flexibility and convenience afforded to the examines with CBT, it is expected that there will be a proportional increase in the number of individuals pursuing their professional registrations. As a CBT, the exams will now be controlled more vigilantly and provide a more uniform testing environment and experience across the board. These perks may seem miniscule as you glance over them in this article, but believe me if you have ever had the pleasure (note sarcasm) of enjoying a testing environment that was anything but uniform, you will appreciate this advancement. So where are all these new testing centers you speak of? NCEES has partnered with Pearson VUE to begin administration of the Fundamentals of Engineering Exam starting January 2014. Pearson VUE is massive to put it lightly, with 4,400 testings centers spanning across the globe. Though the FE Exam won’t initially be offered at all of these locations, a nice dose have been chosen across the country to take part in the initial implementation. The NCEES has developed a detailed map of these locations along with all the necessary contact information and placed it on their website…so go ahead, search, go, and conquer! With the transition to CBT, so will come a transition in the format of the exam…and I like it, and I think other examinees will as well. In general, each exam will still be closed book, but you will now have an electronic reference manual that you can use while you take the exam. I am not sure exactly how this resource will be organized, but hopefully it will be bookmarked, have a good index, and have the ability to be searched…this will be awesome and become a close ally if so. The ‘ol 8 hour duration + a guaranteed migraine headache will be reduced to 6 hours with a soft side mini headache. This time is fully inclusive of the examination time, a tutorial prior to starting the exam, a break at the 3-hour mark, and a short exit survey at the conclusion. Side Note: I loved those exit surveys on my FE and PE exams. When it asked “How was your experience” after a brutal 8 hours, my answer was always simple…”Horrific, and no I didn’t mean terrific!”. I am sure that answer helped the NCEES quite a bit in refining the exam, but what can I say, a man can’t lie. This duration was determined to be optimal in enhancing both the effectiveness and efficiency of the exam. The decrease is welcomed, with the average attention span of a human being recorded at 8 seconds, we will now only be distracted 21,600 times during the 6 hour period…not bad. With the reduction in time, so will come a reduction in the number of problems one will need to work…down to 110 from the traditional 180. The exam will no longer be broken up in to a morning and afternoon format where the morning was shared by each discipline and the afternoon was discipline specific. In fact, each discipline will now have their own exams with their own predetermined series of topics to be covered. This doesn’t mean there won’t be any sharing of topics between the exams, it just means that there will no longer be a shared section for each discipline. As before, each of the sub-topics are further defined so that candidates are well-prepared in advance on what precisely to expect come exam day. For instance, if we were to review the CBT FE Exam Chemical specifications, we would see that one of the main topics of importance to know come exam day will be Mathematics. The NCEES is generous is expanding on this, stating that within Mathematics, one will want to be familiar with all fundamentals falling under Analytical Geometry, Roots of Equations, Calculus and Differential Equations. Having access to this depth of information is one of the greatest “do goods” one preparing for the FE Exam could ever ask for. I work with thousands of engineers every testing period, and I am blown away by how many don’t even know that these exist. The specifications are our friend, use them, and thank the NCEES for being so gracious in providing them. The number of individual exam discipline offerings will largely remain as they have all along, with some minor tweaks, covering seven areas of study; Chemical, Civil, Electrical and Computer, Environmental, Industrial, Mechanical, and Other (which essentially means general). All individual specifications are outlined in detail on the NCEES site CBT site using the link above. “In August 2011, NCEES held a survey-creation meeting with 59 participants, including 33 people representing 20 different technical societies. The group was diverse in terms of geographic location, employer type, engineering discipline, and other demographics. The primary meeting goal was to develop a draft survey containing the subjects in each discipline and establish consensus support. NCEES distributed pilot surveys in September 2011 and reviewed the results in October. It modified the survey questions based on these pilot results. NCEES launched the web-based survey in October 2011. It distributed the survey through its website and press releases. To collect broad results, NCEES sent the survey to technical society members, institution report recipients, deans and department heads of all EAC/ABET programs, PE and FE exam committee volunteers, and others. NCEES also encouraged recipients to forward the survey to other engineers. More than 7,000 people completed the survey. Respondents rated the importance of each topic area on a scale of 0 to 4 to indicate how important it is for an engineer intern to have minimum competence in that area with regard to protecting public health, safety, and welfare. After the survey closed in December 2011, Pearson VUE, the company providing support for the computer-based FE exam, analysed the results and prepared data for discussion at the specification meetings. Seven specification meetings (one for each exam) were held in January 2012 to review the survey analysis and develop exam specifications for the seven new exams. Seventy-three volunteers participated, 42 of whom represented 24 technical societies. The group was diverse in geographic location, employer type, engineering discipline, and other demographics. To reinforce the guarantee of a uniform and fair exam for each individual candidate regardless of where they were taking the exam. To structure the exams in a way that mirrored the coursework the individual encountered in their engineering curriculum. Reviewing the content for the exams is basic operating procedure for the NCEES, completing reviews every six to eight years to ensure the exam remains consistent with the curriculum being taught in Engineering programs at Universities across the United States. “The current pencil-and-paper FE exam, introduced in 2005, is a breadth-and-depth format. It has a common breadth portion that all examinees complete in the morning. For the afternoon portion, examinees must select one of seven depth modules for various technical disciplines. For the past few years, engineering curricula across the nation has been showing less uniformity in core engineering curricula. This loss of a common core affects the FE exam’s relevance to professional licensure as well as examinees’ perspectives on their ability to do well. It also affects institutions’ perspectives on the usefulness of the FE for outcomes assessment if they do not teach some of the exam topic areas. A job well done should be extended to the NCEES, these conclusions I feel are on point, empathetic to the individuals taking the exam, and in line to what is reality. Johnny…Johnny…wake up, can you hear me? There will be four testing windows annually for FE exams, each lasting two months with a month in-between. So as an example, testing appointments would be available for the window between January and February, but not March. All exam-related fees will be paid directly to the NCEES. Online registration will require your shiny MasterCard or Visa…so make sure she has room. Candidates are allowed to bring NCEES-approved calculators, and the FE will still be a closed book exam; however, a reference manual will be supplied electronically (which I have already mentioned could be a golden nugget in this transition). This reference manual, as it is now, will be available on NCEES website for use and review prior to the exam. Practice CBTs will become available for purchase after the October 2013 exams. So where can I get more information? For further edification on the details of this transition of the Fundamentals of Engineering Exam to Computer-based Testing, the NCEES has a webinar recording that was conducted back on January 30, 2013 to update member-licensing boards about the changes. Some of the essential elements it covered included the exam registration process, the testing windows to be used, length of the examination and how the supplemental reference material will be distributed during the exam. This recording is available on the NCEES website. It would be my recommendation for any one with the plans of sitting for the exam in 2014 and beyond, to take the time and watch this recording, you won’t regret the information you will gain from it. The NCEES decision to transition the FE Exam from the traditional pencil and paper exam to Computer Based Testing is well researched and thought-out, both in the process and its implementation. I genuinely believe that this is going to be a welcomed transition for the candidates of the future and give those who maybe once did not have the chance to sit for the exam the opportunity they finally deserve. I am a proponent for this change and will follow closely as an advocate to making a similar CBT change with the PE exam in the near future. 1. Leave a comment telling me what you do/don’t like about this new format. 2. Do you have a friend that is considering becoming a registered engineer? Share this article with them. My main concern is that I no longer can actually use a pencil to work out problems. I read on the FAQ that we’ll be getting a whiteboard and marker to do our problem solving. Problem is that I like to work out part of a problem and get back to it later… this leaves no room to do the partial work on multiple problems. I understand what you are saying Jackrin, there’s nothing like having ample real estate to scratch down whatever you want…from my understanding though, there will be multiple whiteboard type sheets to use during the exam. This is Joe– Justin’s Partner. I was at NCEES about a month ago helping develop some PE exams. We were shown what the testing station looks like. In fact, NCEES has about 3 mock ups in their complex. The “whiteboard” is actually about 6 pages of laminated paper, about 11X17 inches bound with a spirial binder, so you can flip pages back and forth. The marker is a “Sharpie” type of marker that is erasable. I don’t think that you will have any problems working a problem, taking a break and then coming back to it. There seemed to be plenty of “paper” to work with. When you are done, you can erase it and do some more problems. I think it’s great that now there will be more testing locations. Last time I went to take the test I had to drive from Jacksonville to Orlando… on the way my transmission went out…. If I had been in town I could have just taken a taxi, bus or called someone in time to make the test… As it was.. I never made it. Thank you greatly. Patricia…you are a living testament to what this “change” will help eliminate…probably one of the greatest improvements that most won’t even know how huge it is because they didn’t have to make the commute prior to the already stressful exam. A very well done for you too. I think I will be one of the future candidates who will benefit from this transition. The past format is gone so there’s no need to complain about right? Let’s adjust to the new format and like you mention, I think is going to be very positive and welcomed. With so many things going on, I have not really committed to prepare for the FE exam. I really need to do it in 2014 and look forward to find support in your excellent content. Elias…it’s great to hear from you. I wish you the best in 2014, and let’s make passing the EIT one of your soon to be accomplishments. Elias– Set up a time phased schedule, go through all of the Engineer In Training Exam.com modules, do another 3 more weeks of review and hit it! Establishing a date, like April 25, 2014 forces you to focus your time and efforts on the study material, work the review problems and then successfully take and pass the test. Let’s get going– in the Air Force, we used to say that we were “Burning Daylight”– Plan–Act–Do! I know that you will pass with no problems! I think they can give us bonded note book with counted page numbers to work on and then collect the scratch book at the end of exam.It will be difficult to just work on board(I do not know how big) plus scratched problems will stay there and minor mistakes can be taken care of to reach answer.But if the record is erased I do not know how will it work.Engineers are mostly trained to start scratching on paper to visualize the problem, without scratch paper i think it will be the pure coincidence to get it right without thinking through a problem. Interesting article, it confirms the understanding I had prior to reading the article but added some insights I didn’t have prior to. I am hopeful the change will be implemented as smoothly as the article indicates it could be. I do live in Redding and have driven to Sacramento for industry certification testing and I can testify that adding that 3 or so hours fo driving before and after the test makes a difference because I have also done CBT testing here in Redding and WOW what a difference sitting having comfortable cup of coffee and reviewing material till 15 or 20 minutes before the test is a huge improvement over the long commute. Convenience is huge when it comes to testing, I think you will find it very beneficial. Would love to have your feedback after you decide to sit down for the CBT FE. I didn’t realize that the morning portion of the test was changing. I was planning to be studying from the Lindeburg Rapid Preparation Manual and the mechanical discipline -specific review book. Do you think this changes how we need to study and are these books still good to use? Also I’m very surprised about the whiteboards. I like the idea of not wasting paper, but I’m very using to having space to write things out and especially be able to come back and review my work at the end. I also hope NCEES has a way to see exactly what the reference book will be like. Everyone talked about how important it was to get to know the book how it will be used in the real test so I had bought the hard copy, so it would be good to use the form that it will have now. Have you changed any of the recommendations you make for preparations based on this change? And are there good ways to get practice tests in the new form? Useful ! Incidentally , others are wanting a a form , my colleague filled out and faxed a blank form here https://goo.gl/RFHD8P. Any update on when the PE exams will be cbt? Not FE, PE exam. As per my view CBT is good as it saves our natural resources. Moreover, it enhanced the performance of NCEES FE Exam as now they can administer a lot of FE examinee than before.